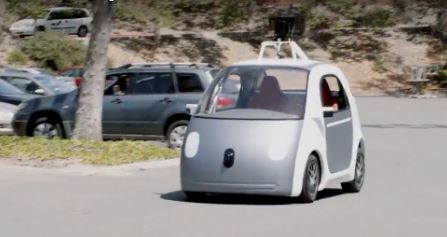 Driverless cars are coming closer to reality every day but they still have a long way to go. It’s going to be some time before governments and auto manufacturers can all agree on a common system that will allow driverless cars to communicate with each other, and the roadway. Driverless cars could lead to a future with fewer traffic jams, lower commute times, more fuel efficiency, and, most important of all, safer driving. However, a driverless car that’s one hundred percent driverless and one hundred percent safe is probably something that may never be achieved. Even the best of the driverless cars being tested on the road today can’t operate in adverse weather conditions such as heavy rain and snow. Could a computer algorithm accurately predict the actions of a drunk pedestrian trying to cross the road? Anyone who’s had a cellphone call dropped due to a momentary loss of signal can imagine what the challenges for a driverless car could be. A pack of different types and sizes of driverless vehicles traveling at interstate speeds can’t afford to drive through a wireless signal blind spot. Who is ultimately responsible if a crash should occur? Will the blame for human error in a crash pass from the driver to the computer programmer who wrote the car’s operating code? Who gets sued in a traffic crash; the owner of a driverless vehicle who assumed it was safe to travel under the influence or the cell phone company whose signal was lost?